When the blooms of cherry trees appear it is the unofficial sign of spring has sprung. All over the world, people jump at the opportunity to see the lovely blooms and celebrate the end of winter. The subtle pink, white and purple hues have the ability of making us all al little more happy. So why not celebrate cherry blossoms everyday? Here are 9 ways to love cherry blossom season all year round. Japan seems to have mastered the art of the Kit Kat and one particularly awesome flavor they have blessed us with is the Sakura Kit Kat. Sakura (cherry blossom) Kit Kats are usually only available in Japan during cherry blossom season but luckily we can track them down year round online. 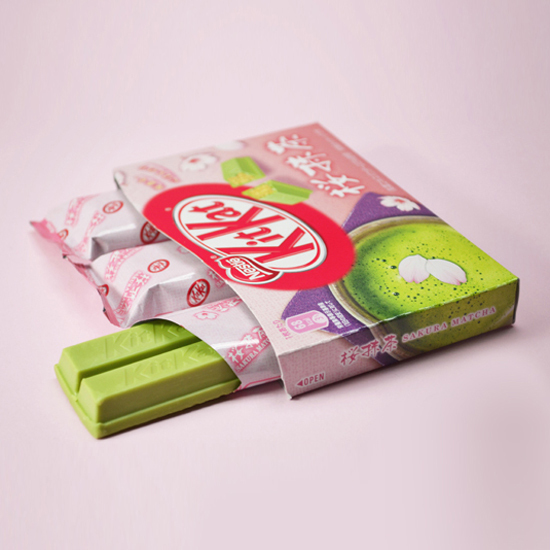 Try the Sakura-Matcha for full cherry blossom flavor paired with subtle green tea. We are a little obsessed with this mug. Not only is it elegant and modern, decorated with a simple and colorful cherry blossom design, when you pour in hot water the lines change color. The mug comes with a perforated infuser and the lid doubles as a coaster. This non-toxic nail polish from Treat Collection goes on easily, dries fast and stands up to daily wear and tear. Plus the gorgeous cherry blossom-inspired color is perfect for work, cocktails and all of your warm-weather soirees. 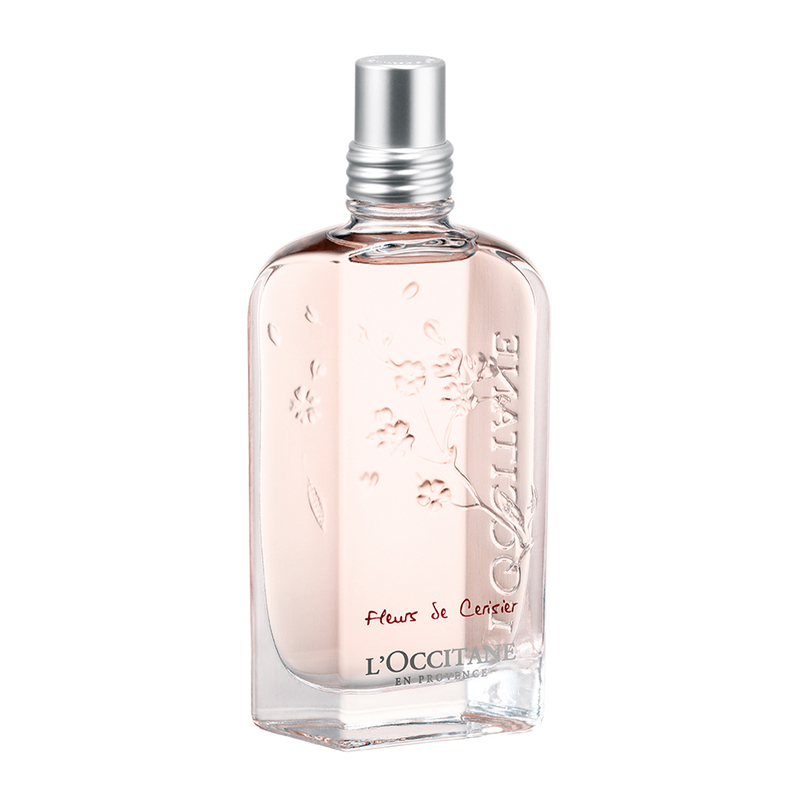 Now you can smell like your favorite time of year with L’Occitane's new frangrance. With hints of cherry, freesia, and lily of the valley, this light floral scent epitomizes the short season of cherry blossoms. Enjoy cherry blossom season in comfort with these gorgeous running shoes from Nike. The white sole accentuates the bright blues and pinks the scenic design. If you are looking for something more casual, the cherry blossom shoes come in slip-on’s, as well. Cherry blossom season is a time of beauty and refresh, especially for your skin. While you are repairing your complexion after a long winter, try this delicate lighting powder in lavender pink to make your skin appear softer, healthier and glowing. Coat yourself from head to toe in this sweet and floral light-weight lotion from You are Amazing and reveal your beautiful skin. Free of parabens and phthalates, a portion of the proceeds from each sale goes towards leadership development to empower girls through Girl Up. Makeup legend, Sonia Kashuk and her affordable, effective and always beautiful products make us swoon. And her cherry blossom-inspired lotion doesn’t disappoint. The full line restores skin’s softness with shea butter and botanical oils. Boozy apple cider that tastes like spring? Yes, it exists. Strongbow Cherry Blossom Apple Cider has the distinct smell of cherry blossom and a subtle sweetness of apple, all with a gentle kick of alcohol (4.5% ABV).